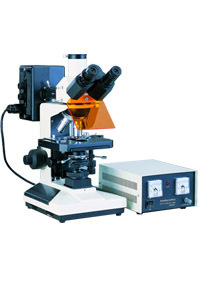 L2001 series reflected fluorescence microscopes are used for fluorescence microscopy and transmitted bright field observation. They are the ideal instruments in biology, cytology, oncology, geneticist, immunology etc. It is the ideal instrument in biology, cytology, oncology, genetics, immunology etc. It also can be used in scientific research, universities, medical treatment, epidemic prevention etc. With wide field eyepieces, plan achromatic objectives and fluorescence objectives, the field of view is widely and clear.